Like some kind of documentary super-group, Andy Kolker, Louis Alvarez, Paul Stekler and Peter Odabashian have come together to make what they have dubbed "the first post-post Katrina" documentary, Getting Back to Abnormal. In various combinations, the first three have had films broadcast in each of the first three decades of PBS' POV series. Alvarez and Kolker's American Tongues was the first film shown when the series launched in 1988; Stekler, Alvarez and Kolker, as a trio, saw their Louisiana Boys: Raised on Politics air in 1992; and Stekler's Last Man Standing: Politics, Texas Style was broadcast in 2004. Getting Back to Abnormal, which premieres July 14, keeps the decade streak alive. The foursome previously collaborated together on Vote for Me: Politics in America, which aired in two parts on PBS in 1996. Getting Back to Abnormal, as the title implies, takes the perspective that for New Orleans to return to both politics and life as usual after the upheaval of Hurricane Katrina in 2005 is to see it struggle to work out the right blend (we won't say "gumbo") of functionality and dysfunctionality that has made the city so unique, and which has bred so many talented and colorful personalities. The last thing anyone wishes on New Orleans is that it become just another "normal" American city. The film's main storyline follows the city council re-election of Stacy Head—"the first white person to have been elected from that district in 30 years," explains Odabashian, adding, "which probably, it's fair to say, wouldn't have happened if Katrina hadn't happened." 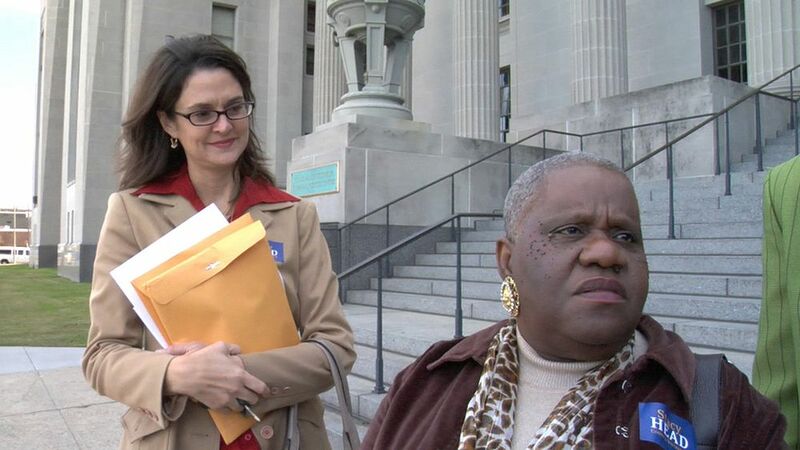 Head gained her seat a year after Katrina, and continues to serve on the council today. The New Orleans Times-Picayune once described her as having an "intense, caffeinated and personal" approach, which is a polite way of describing her infamous outbursts at council meetings. The other main character of the film is Head's de facto lieutenant, Barbara Lacen-Keller, the director of constituent services. An equally outspoken African-American, she steals every scene she's in with both her wit and convictions. Filling in the filmmakers' attempt to paint a picture of the Crescent City is the ongoing struggle of what do with the city's poor and the housing projects they lived in—projects that have both plagued the city with death and crime, but that are also believed by many to be vital to the city's culture and history. Getting Back to Abnormal ends with a quote by the late New Orleanian journalist Lafcadio Hearn, who wrote way back in 1883: "Times are not good here. The city is buried under fraud and maladministrations. But it is better to live here in sackcloth and ashes than to own the whole state of Ohio." It is still today a place some might see as shouldered with unsurmountable problems, but that perception is also what makes New Orleans what it is. And so I began a conversation with the filmmakers by asking, "What is it about New Orleans that made you fall in love with it and want to return with your cameras?" 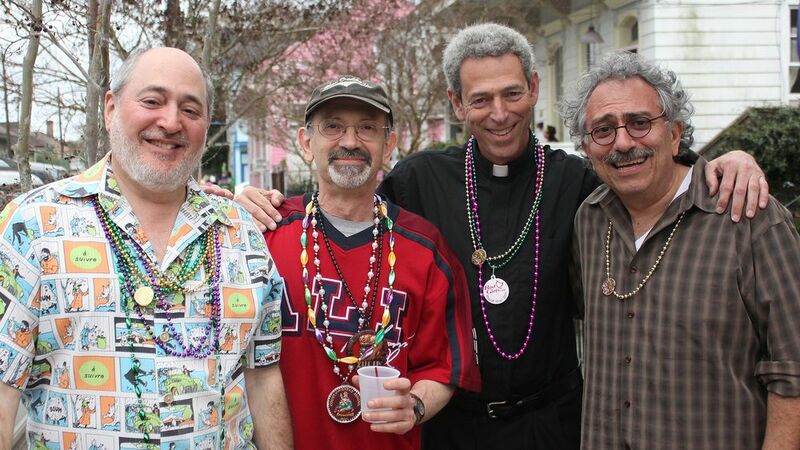 "I came down to New Orleans [in the 1970s] because some friends of mine had moved there from college in the Northeast," says Kolker. "[There was] something in that alchemy of being 22 and being exposed to a whole world of cultures that were on the one hand exotic, but on the other hand had a sort of craziness and warmth. The experiences I had in my 20s in New Orleans were probably some of the most precious memories I've got in my life. Part of that is because of the time: You grow in a city like that, and it's affected everything that I do, everything in who I am and how I approach life." "I grew up in the Midwest," says Alvarez, "and New Orleans was about as un-Midwest as you can get. When Andy and I started off making documentaries in the mid-'70s, the only kind of documentaries out there were very earnest. They either had an agenda or they were just a very serious look at a topic. We would have probably made films like that because we were serious about what we did, but in New Orleans nobody wanted to see that kind of stuff. So if you wanted to show documentaries to people in New Orleans, like your friends, and get it on TV so people would actually watch, you had to make it fun. And that was really helpful to us, because we discovered the power of humor when making nonfiction films. And I think we all owe that to New Orleans, because if we had gone to New York, we'd have been making thoughtful, chin-pulling documentaries." "I went down there, also in my 20s," recalls Stekler. "I was a serious political scientist going down to teach at Tulane, and for me, it was like being on Mars. There is nothing there like what I understood stuff to be like. To a certain extent, all of a sudden, all things became possible. I was interested in politics and all of a sudden I'm writing about politics, I'm running campaigns, I'm helping to run a mayoral campaign, and I bump into Andy and Louis and I go, 'I'm going to make films.' And you were allowed to. This was an amazing place that essentially ruined me as a serious scholar, ruined me in terms of having regular jobs, and it was unbelievably exciting." Odabashian, a lifelong New Yorker, adds, "In the end, it's just kind of a wonderful place to be, even if you're not eating the food or listening to the music. There aren't that many places in America that are still like that, where you could just enjoy being there." Because of their personal and professional history with the city, after Katrina hit it seemed they were constantly being asked when they were going to join the packs of filmmakers heading down to New Orleans with video cameras. "Everybody else was doing that, so we're going to stand back for a bit, we decided," Kolker says. "And we waited, basically four years, while a lot of films were made about the recovery. Some of them were very good, some of them not so good. But almost all of them, we thought, were characterized by an outsiders' viewpoint. "Part of the thing about New Orleans," Kolker continues, "is that it seems like it's very accessible, but you have to be down there for a while and get into the culture, and then you understand why people behave the way they do, both good and bad. So, four years after, we thought, Now it's a 'post-post-Katrina' era, and maybe this would be a good time to talk about life going on and getting back to the way New Orleans regularly is—which is getting back to 'abnormal.' And we really wanted it to be from the perspective of New Orleanians. So even though we don't live there any more, we felt we could help midwife the New Orleans perspective a little bit." They decided to get serious about the project when on a trip to New Orleans in 2008 for the funeral of their friend, photographer Michael P. Smith, who had spent his lifetime documenting the city. "We were basically talking about this as we were on a jazz funeral parade," Stekler explains. "It came from having lived there, having understood that New Orleans is much more complex than many people think of it. It's not just good guys and bad guys. We wanted to make a film that was about the real New Orleans, as opposed to the New Orleans that we saw [in film] that was a lot more simplistic, post-Katrina." But by that time, "Katrina fatigue," as Alvarez describes the lack of interest by investors in “yet another New Orleans documentary,”, had set in, and so the filmmakers shot for over a year without any outside money. "I wouldn't recommend this to everybody in terms of making films entirely without any kind of support," Stekler continues, "but this was really a labor of love. It represents the city for three of us that is really part of our lives. And quite frankly, having Peter [the New Yorker] be part of that to keep us honest was really useful as well." Once they found their main characters in Stacy Head and Barbara Lacen-Keller, the film began to take shape. "I was resistant at the start to do a film about politics, because I've done too many political films," Stekler admits. "I thought we were going to be doing something cultural. But as soon as it got into Barbara and Stacy, it was clear this was our best story. And it was often not a political story, per se, but much more of a cultural story dealing with race." "When we started filming in 2009," explains Alvarez, "it was the height of the 'post-racial' talk coming out of Washington, and obviously anyone who's been awake for the last five years knows that 'post-racial' is just deader than a doornail. Maybe in certain aspects of American life we are, but racism has come roaring back to the forefront of civic discourse, and not necessarily in a good way. But there is something about New Orleans that, I don't want to say is positive, but is interesting that it is all up front and out there." "They don't necessarily use 'weedle words,' the way a lot of the rest of the country uses when talking about race," Alvarez continues. "People in New Orleans will say, 'I'm voting Black this time,' or 'I'm voting White this time.' They'll just come out and say that. Whereas, you would never say that in 'polite company' in the Northeastern United States. What's interesting is that New Orleanians can say that because they have a lot of things on their minds; it isn't just that somebody's black and somebody's white, it's that, 'This person is Black, but they're from uptown, and I'm an African-American from downtown, so I'm not supporting them because they're from uptown.' It's not about racial solidarity, it's really about tribal solidarity. And that works across all racial groups there. In New Orleans, everybody knows that's how the game is played and that's how people think of themselves. So there's not a delusion; a lot of America has this delusion that there's somehow this even-handed, not color-conscious, society, and it's just simply not true. And in New Orleans they know it's not true and they're not pretending that it is. And so we wanted to try to capture that in the movie. We wanted to show people being pretty frank about their racial identity and racial ideas, no matter whether they're black or white." 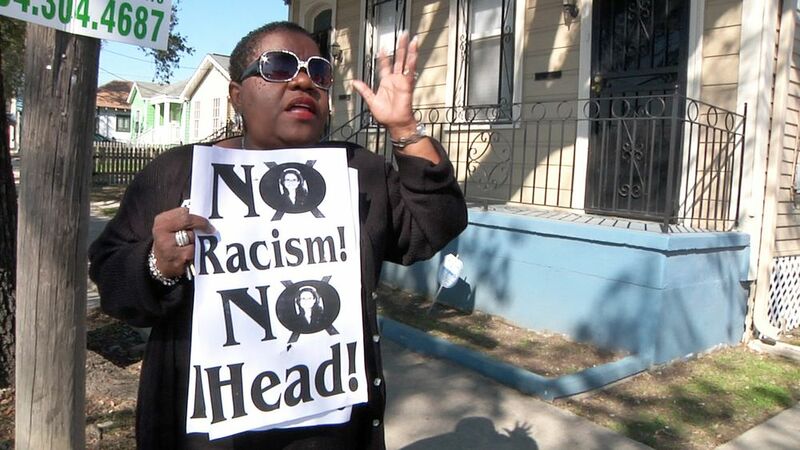 "People in New Orleans look at Stacy Head, or someone like Stacy Head, and they're starting to look past the supposed racial insensitivities," adds Kolker. "They're saying, 'Oh yeah? Well, you know what? I don't care [what color she is] because this lady is getting something done, and she's smart, and she knows how to work the system, even if she's standing up there and screaming at people. She is going to get something done.'" "Then we met Barbara," explains Stekler, "who's her chief aide dealing with the community, and it was like, 'Where did this person come from?' So the combination of the two of them is amazing. White and black; tall and lean versus short and stocky; measured lawyer versus somebody incredibly emotional. Barbara also has the street chops-she was nicknamed the 'Mayor of Central City' by [former New Orleans Mayor] Marc Morial. 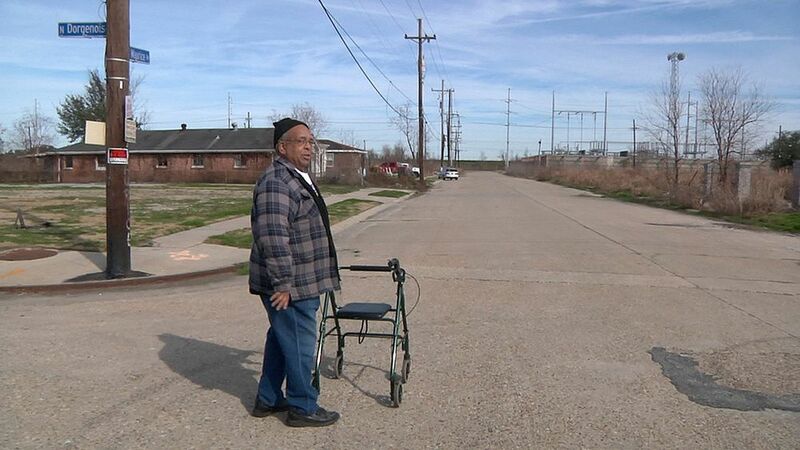 She came out of the Desire housing projects in the Lower Ninth Ward. She was married to a very famous musician, which is not part of the film. So Barbara had the street cred and was also not shy on camera. That led to things like on Election Day, when she's quasi-narrating what's going on before she has the confrontation with the guys [supporting Head's opponent] distributing the 'No Racism/No Head' posters in the truck." 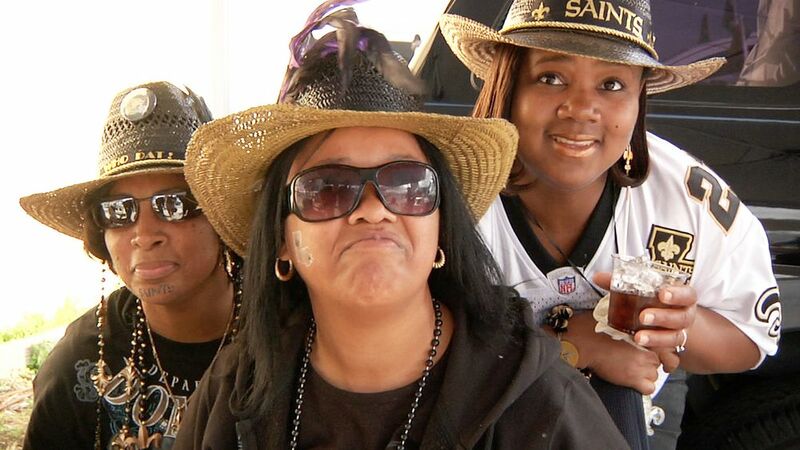 But the big question that hangs over the film is whether New Orleans can, indeed, find its way back to "abnormal." "After Katrina, there was concern," Alvarez responds, "and I think we share that concern, that somehow something had been irretrievably lost. But here it is, nine years later, and I think New Orleans continues to abide." "There's no doubt that when you have a cataclysmic event like Katrina, the city is going to change," adds Kolker. "Clearly the demographics changed. They didn't change as much as I think people thought they might, but they certainly have changed. Certain things that were relatively inaccessible now have become very accessible—like when Mardi Gras Indian parades have their routes published in the newspaper; beforehand you couldn't find them unless you knew where to go. That seems like a small thing, but the point is that when the culture comes out into the open, inevitably it's going to change. It's going to become somewhat more universal, it's going to become somewhat more commercial. But New Orleans has always been a commercial city, in that sense. It's always sold its culture to tourists. It's becoming even more so, and when that happens you do eventually get a kind of an imitation, almost an imitation of an imitation, that meta-business starts to happen, and certainly it is happening in the city. That inevitably does change things, but at its core, the city is still going on. Much of it does remain the same. How long it will remain the same? That's anybody's guess." "It changed our lives when we lived there," Stekler says, "and it continually creates new New Orleanians over time. Part of the joy of making this film was, at least for me, to have one last look at that." "One of the reasons we had the quote by Hearn at the end of the film is to make the point that 150 years ago people were complaining about the place," explains Odabashian, "and yet the city keeps attracting people like us, who came 40 years ago and fell in love with the place and became, for better or worse, some of the curators of New Orleans culture, along with a lot of other people. And now, there are young people coming down there and doing the same thing." "One of the things when you're not from New Orleans," Odabashian concludes, "is when you show up and fall in love with it, you're condemned to be told by people who are from there, 'Yeah, it's okay now. But you really missed the great days. The great days were 10 years ago.'... or '20 years ago.' And you can always say that, but the great days continue. The place changes. It's not immovable, but there's something fundamental that never seems to change, and that's what all of us who love New Orleans are happy about." Getting Back to Abnormal airs July 14 on PBS' POV. Ron Deutsch is a contributing editor to Documentary Magazine. He has written for many publications including National Geographic, Wired, San Francisco Weekly and The Austin American-Statesman. He is currently associate producing the documentary Record Man, about the post-war music industry.